Traveling toward Wonthaggi, San Remo or Cowes on Philip Island? Want to go “Op Shopping” in Bass Shire Coast? Then stop and shop at the Hadden House Op Shop. Plenty of bargains, bric a brac, clothing plus so much more. The wonderful multi-roomed Hadden House Op Shoppe is one of the buildings situated on a half hectare community site and offers plenty of off-street parking. Our grounds adjoin Bass Park which is also adjacent to the Bass General Store. The famous and Historic Bass Park (commemorating the approximate landing site of George Bass) offers a free under cover bbq, tables and swings for the kids. Plan a great day out while helping to raise funds for the local Bass Valley Community. Come explore the Hadden House Op Shop and see what new bargains you can discover today! 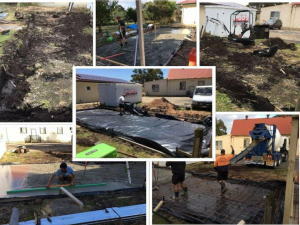 The Bass Valley Community Group Inc. is a not-for-profit association and we rely on donations, fundraising and the efforts of our volunteers to fund our day to day community activities. 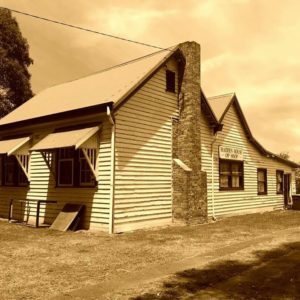 The Op Shop considerably contributes to the livelihood of our organization which is why we recommend locals and visitors passing through Bass to stop and shop at our facility and help us raise centre funds. The Centre uses these funds to give back to the community in the form of events, functions, activities and programs. The Op Shop is conveniently located in middle of Bass right next to the Bass Hall on Old School Rd. and is open 6 days a week from Monday to Saturday. 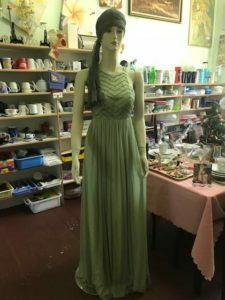 Would you like to be an Op Shop Volunteer? 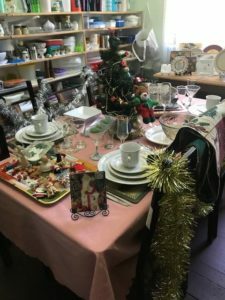 The Hadden House Op Shop is always looking for new volunteers to help with a variety of tasks including sorting goods as well as filling shelves, racks and displays. Our volunteers have great fun and is a wonderful way to make good local friends while providing a valuable service in our community. If you would like to help, pop in and have a chat and perhaps put your name down to help out, or you can call the office on 03 5678 2277 or email us. If you would like to donate clothing, toys, crockery, books, household items, etc. 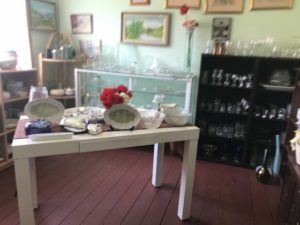 to the Op Shop, bring in your items. If you have any larger items or if you plan to unload your donated wares out side of our normal office hours and require assistance, contact us on 03 5678 2277 to ensure we have a volunteer on hand to assist. 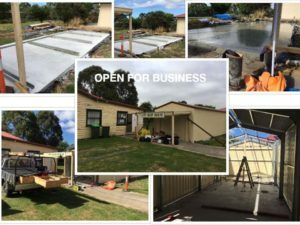 2018 News Flash: Hadden House Op Shop our NEW furniture shed opens! Special thanks to Ash Carlson [Concreting] and Wayne Poulton [Shed Erection].